The original XC90 proved popular in Australia. It received no major update in 12 years and in that time more than 15,100 were sold. The 2015 successor is an important car for the company and it is not only because it has a high sales quota. 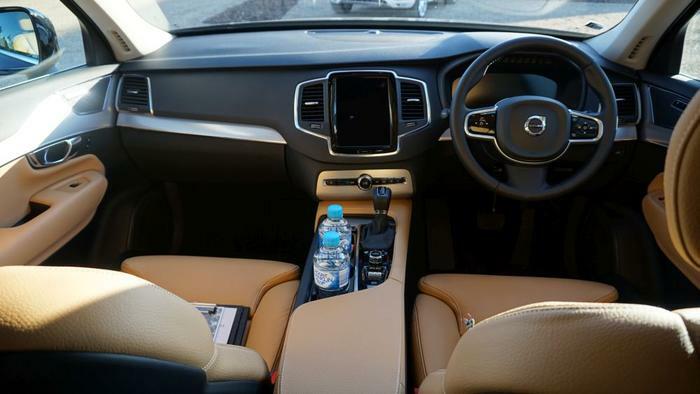 Volvo is revising its range within the next three years and all of its upcoming innovations will be introduced with the 2015 XC90. It will be the first car to showcase improved driving aids, safety features and a brand new entertainment system. “We started with a blank piece of paper”, said Lars Lagstrom, a senior product manager at Volvo Global. Lagstrom’s involvement in the XC90’s development was such that his colleagues affectionately refer to him as ‘The Godfather’. Safety advancements in the upcoming XC90 inch Volvo closer to an era of self-driving cars. It can intuit when an emergency situation is taking place and then deploy an arsenal of safety aids. Two ‘world’s first’ driving modes debut on the XC90, before filtering into the company’s revised range. The first, called 'run-off road protection', aims to reduce paralyses. A series of safety measures are put into action within a fraction of a second when the XC90 recognises it is running off a road. These include tightening the front seatbelts, readying the airbags, enabling the brakes and retracting the brake pedal. These measures are in addition to redesigned seats, which have an “energy absorbing functionality between the seat and seat frame” to cushion hard landings. Another system uses a front-mounted camera to identify dangerous situations at an intersection and then automatically applies the brakes. It is aptly called 'autobrake at intersections'. These innovations are in addition to an existing portfolio of driving aids. The car’s Pilot Assist mode “will drive the car for you up to 50 kilometres per hour. It will steer, brake, stop and accelerate, but you need to have at least one hand on the steering wheel. “We are sensing all of the time that you are in command of the car,” said Lagstrom. “Aids currently follow the cars in front. When we’re talking driverless, we’ll need the [driving aids to work with] the navigation,” he added. The company’s existing driving technologies can be re-purposed at a later date to work with GPS navigation, paving the way for new models that are self-driving. New to the XC90 is its infotainment system. It centres around a 9-inch touch screen, operates on the QNX operating system and uses HERE maps for its GPS navigation. The entire system has been designed to present drivers only information that is contextually relevant. Pertinent information is pushed to the top of the touchscreen so that it can be seen at a glance, while less critical information is shifted towards the bottom of the screen, where it is easier to reach. An infrared layer cast above the screen is used so that people can operate the system while wearing gloves. The QNX operating system is a subsidiary of BlackBerry and, therefore, is fluent in the kind of gestures common to smartphones. It is based on three easy-to-use panels. 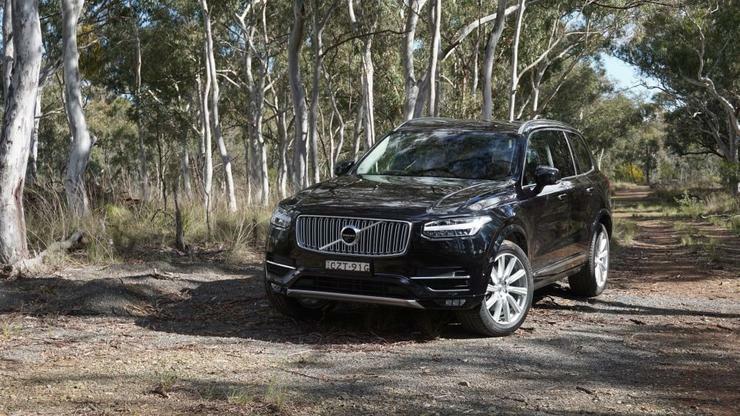 Two variants of the XC90 will go on sale in Australia on 8 August. The D5 diesel and the T6 Petrol, while the T8 hybrid is scheduled for release in February 2016. Volvo has already taken 160 pre-orders and has another 400 pending a test drive. Pricing starts at $89,950 for the D5, $93,950 for the T6 and $122,950 for the hybrid T8. 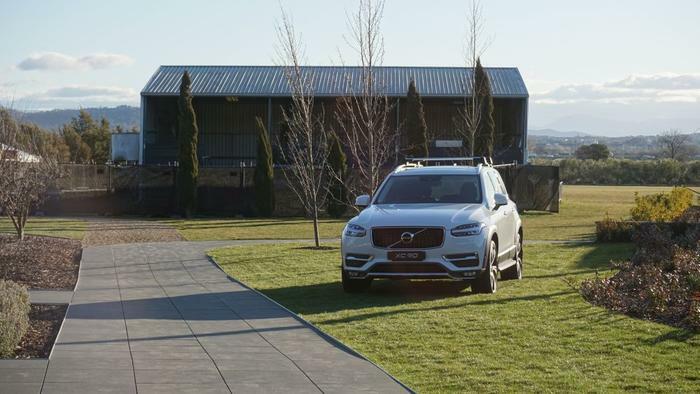 Tony Ibrahim travelled to Canberra as a guest of Volvo Australia.